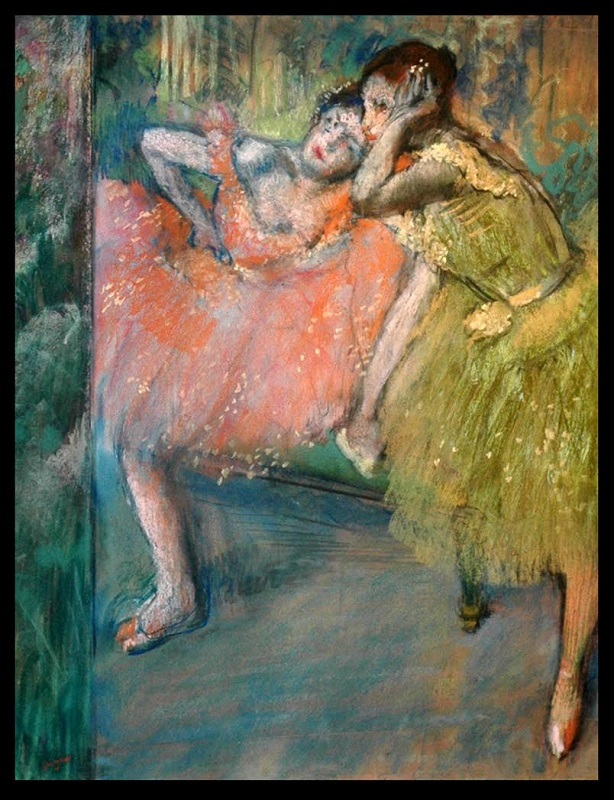 Degas was an artist famous for his work in painting, sculpture, printmaking and drawing. 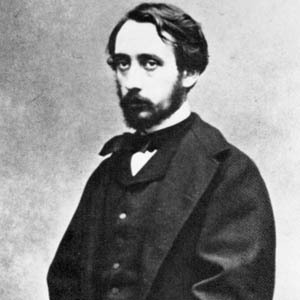 He is regarded as one of the founders of Impressionism although he rejected the term, and preferred to be called a realist. A superb draftsman, he is especially identified with the subject of the dance, and over half his works depict dancers. These display his mastery in the depiction of movement, as do his racecourse subjects and female nudes. His portraits are considered to be among the finest in the history of art. Early in his career, his ambition was to be a history painter, a calling for which he was well prepared by his rigorous academic training and close study of classic art. In his early thirties, he changed course, and by bringing the traditional methods of a history painter to bear on contemporary subject matter, he became a classical painter of modern life. 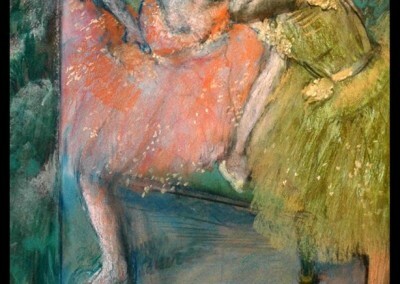 Degas is included in many important collections including the Metropolitan Museum of Art, the Guggenheim Museum, the National Gallery of Art, and the Louvre.